Age: The domain is 20 years and 2 months old. 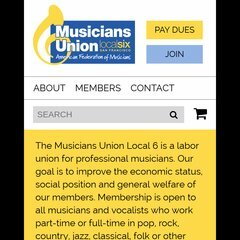 afm6.org A History of the Musicians Union Local 6, American Federation of ..
Afm6.org's IP address is 74.54.42.146. Its 2 nameservers are ns2.goprohosting.com, and ns1.goprohosting.com. PING (74.54.42.146) 56(84) bytes of data.